If you are taking a self-drive tour of England consider a tour of historic sites. The good news is that no matter where you are in the country there are historic sites around for you to visit. In North Yorkshire, for example, you could spend a little time at one of the medieval abbeys – or visit all of them. 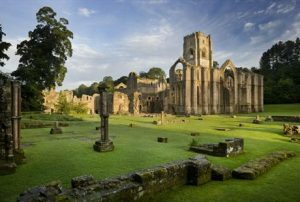 Fountains Abbey, Bolton Abbey, Rievaulx Abbey and Whitby Abbey can all be found here and you could see the sights that have been inspiring artists and writers for hundreds of years. It isn’t just abbeys though – the county is filled with great castles. Middleham Castle was Richard III’s home when he was a child and then there is Helmsley Castle, which dates back more than 900 years. Bolton Castle is much younger at 600 years old but it is still privately owned by a descendant of the original owner. A self-drive trip to England’s historic sites would not be complete without taking in Hadrian’s Wall, although this particular historic attraction is shared with Scotland. The wall is some of the best-preserved Roman remains in the UK. You can even take a walk along the wall itself to get a feel for what the lives of the soldiers were like. Heading far south to London, you can choose to drive or take the eco-friendlier options of buses or tube trains as you explore the historic sites of the English capital. First port of call should be the Tower of London, an attraction that is hundreds of years old and has a varied and fascinating story to tell. Include in your trip Temple Church, built by the Templar Knights around 900 years ago and one or two of the Royal Palaces, some of which are open to the public at certain times of the year.